Before a 26 project I’m always worried about whether I’ll be able to relate to my ‘object’. 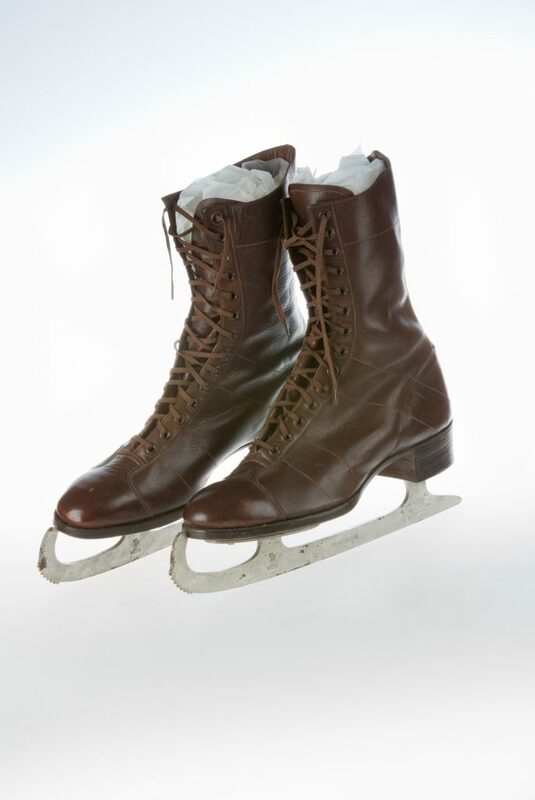 ‘Skating boots’ didn’t mean much to me until I remembered the one time I did skate as a child. The trail through town to the frozen pond, the cold hands and feet … the borrowed skates, the ankle wobble, arms flailing, topple. None of which matched my image of graceful skaters dancing on ice. But … disappointment? Hell, no! I’d done it hadn’t I? I’d skated on the Curlie. Writin in Scots? Thae boots didnae mak me think in Scots…. Mm? Problem? Ach, an then I minded the truth o the weet dowp , scadded legs and the bruises… and when ye spick the truth the words spue oot in a belter. Hell, I’d done it! I’d written it in Scots.